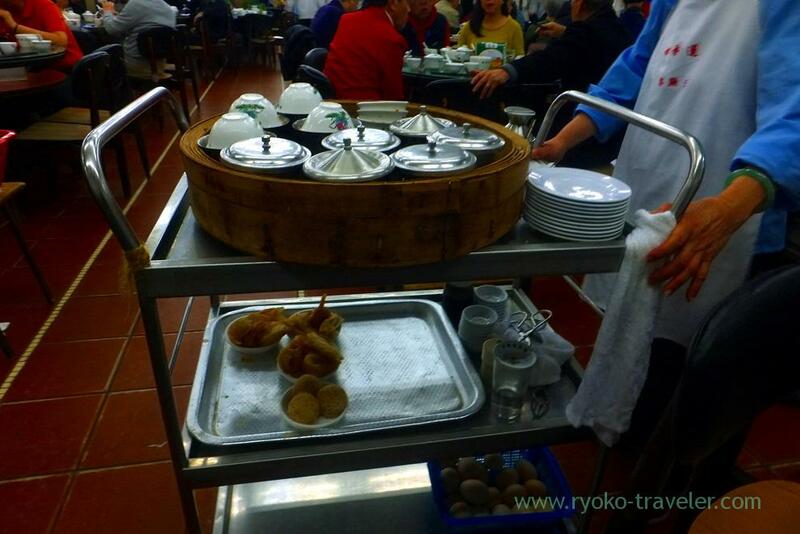 Hong Kong Old style yum cha ! 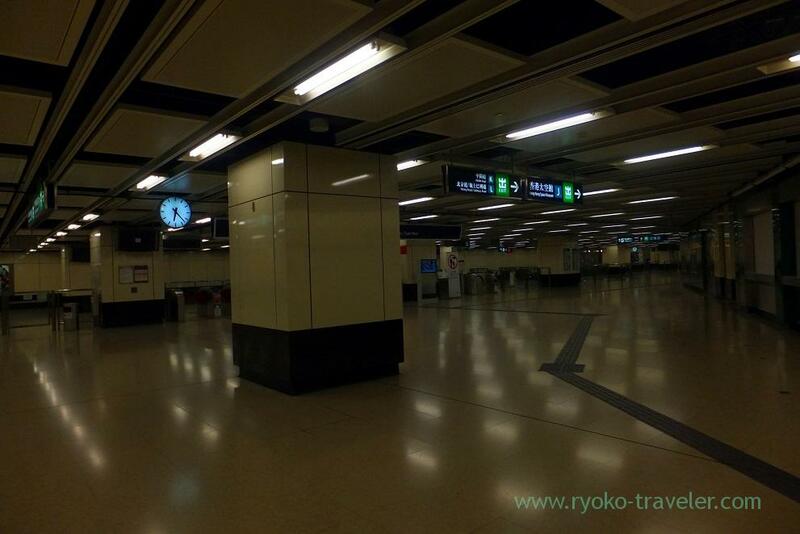 I got up early on second morning of my trip and went through the still quiet station. 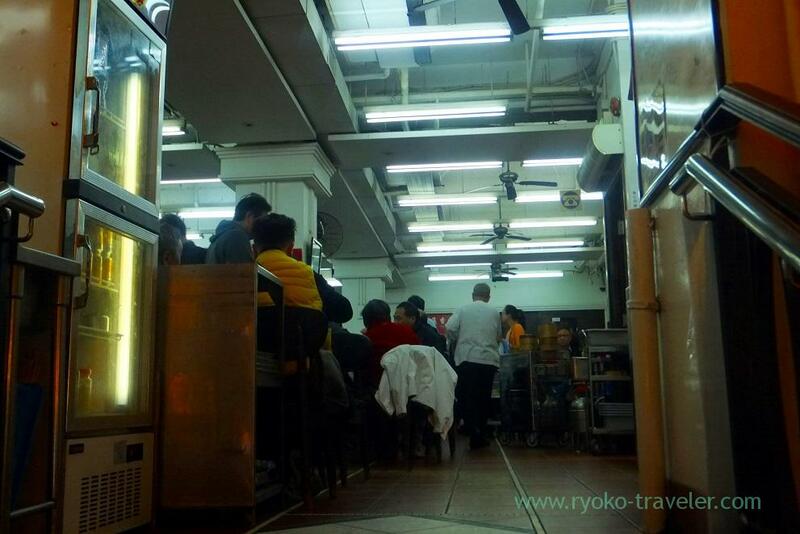 My destination was Sheung Wan ! 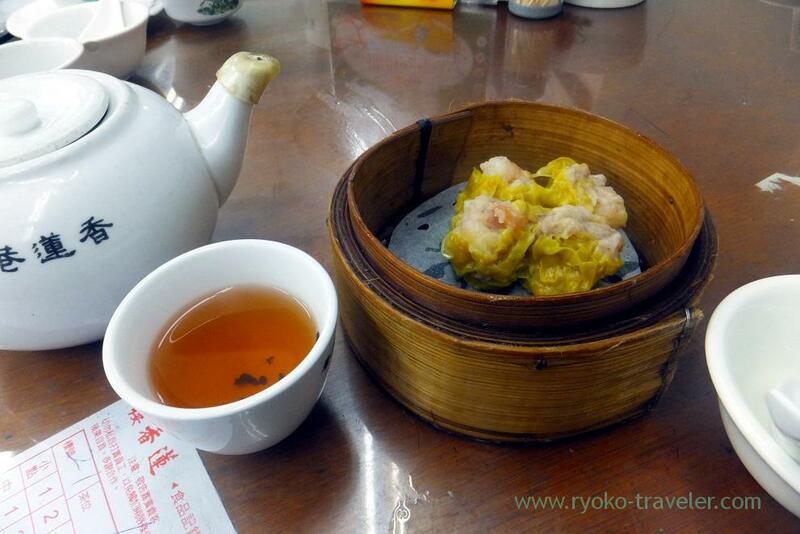 Speaking of breakfast in Hong Kong, of course, everyone know yum cha ! 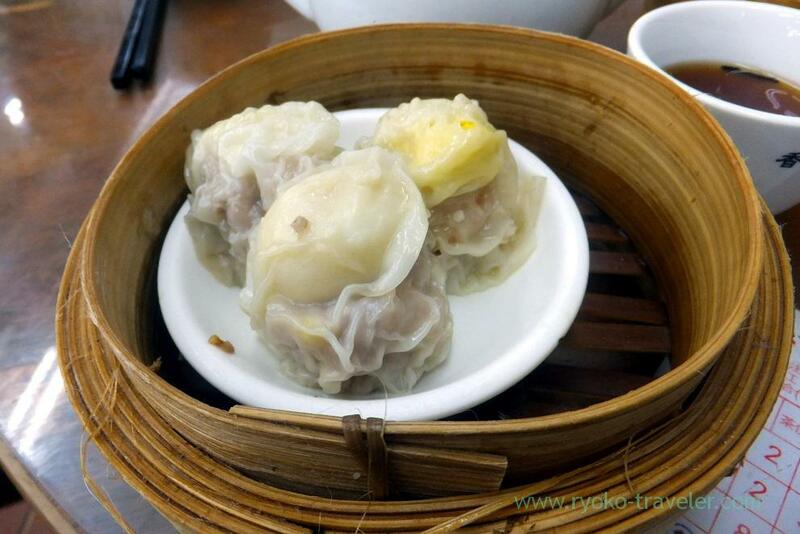 This was first visit to Hong Kong for me, so, there was no choice but experience local yum cha ! 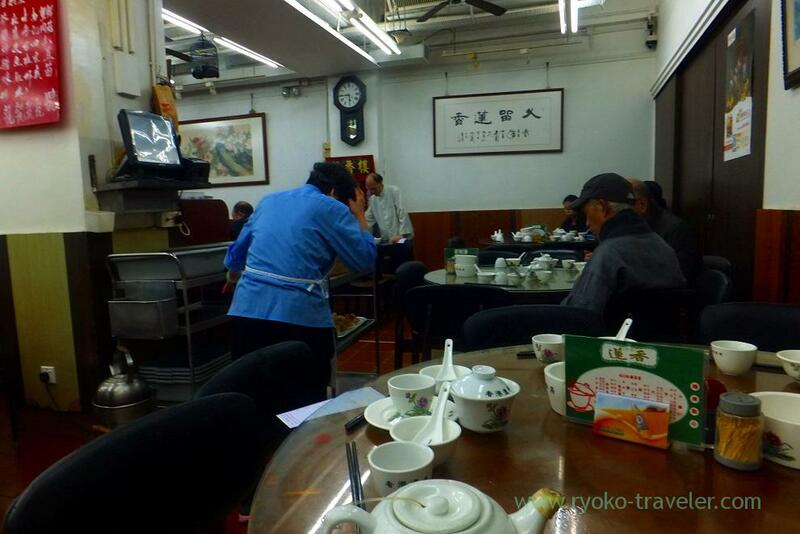 Lin heung Tea House is open from 6:30 a.m. and I got to there around 7:30 a.m. I got to there earlier because I was anxious that I cannot so much as take the seat. This restaurant is too popular among tourists and loal people and I heard that we have to play musical chairs during busy hours. And also nothing will be got by just waiting at the seats. We have to go to wagons to get our foods. When I got to there around 7:30 a.m., there were still many vacant seats. But half of seats were already occupied. 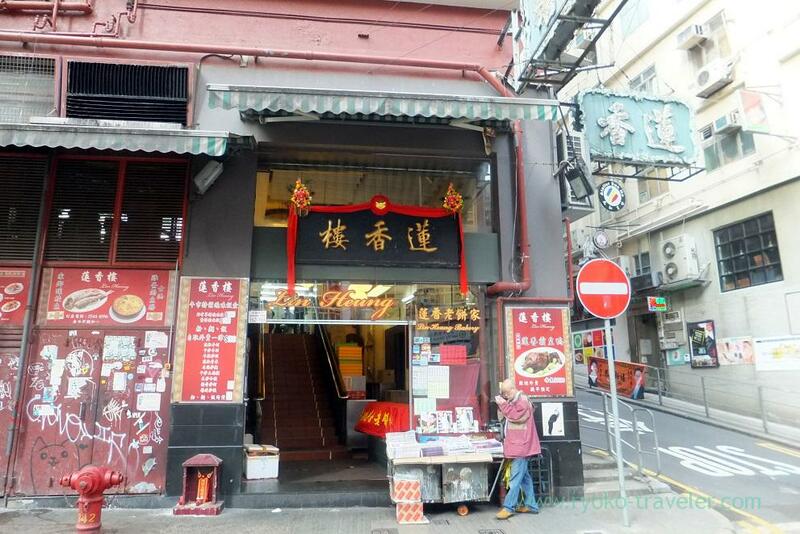 I know this is one of the oldedst yum cha restaurant in Hong Kong. The theme of my trip to Hong Kong that time was to experience old Hong Kong. 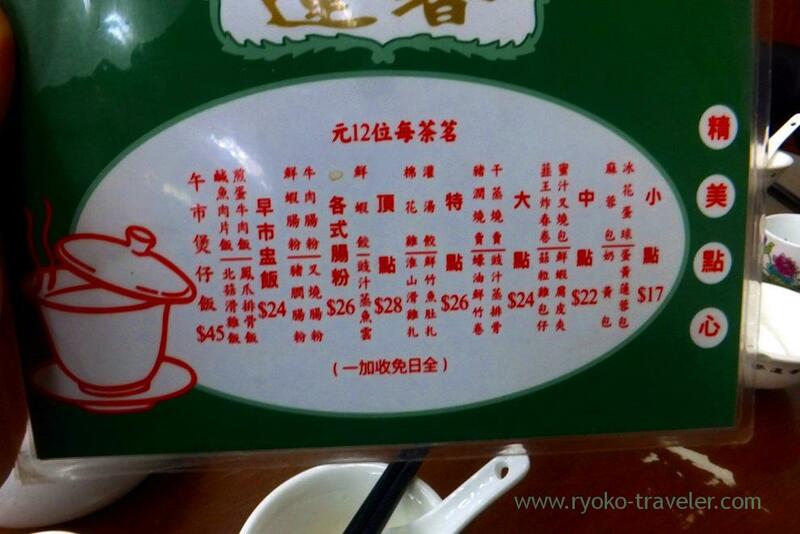 So, I wanted to have yum cha at such a long-established restaurant. This restaurant was suitable for my theme as expected. 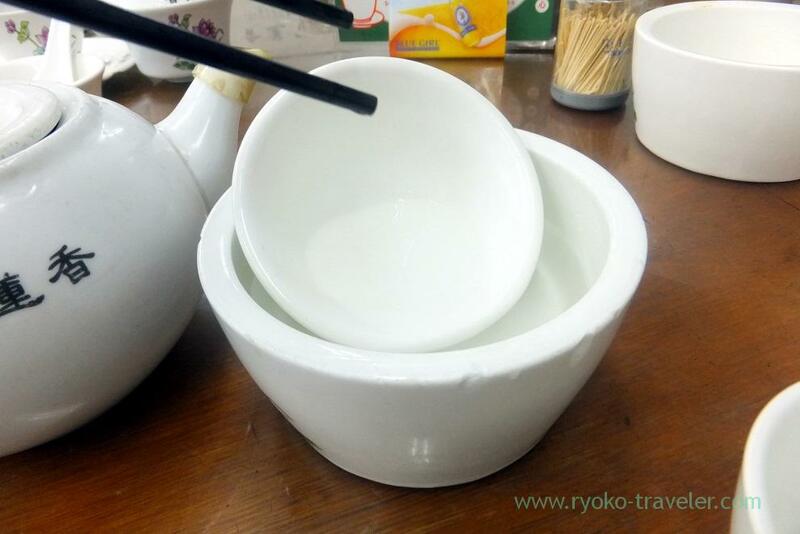 The man poured hot water into the bowl and made the gesture again “Wash your dishes”. So, I tried washing my dishes. Of course, I had it. My stomach had nothing ! I expressed my will, and she put one on the table and stamped on the sheet. 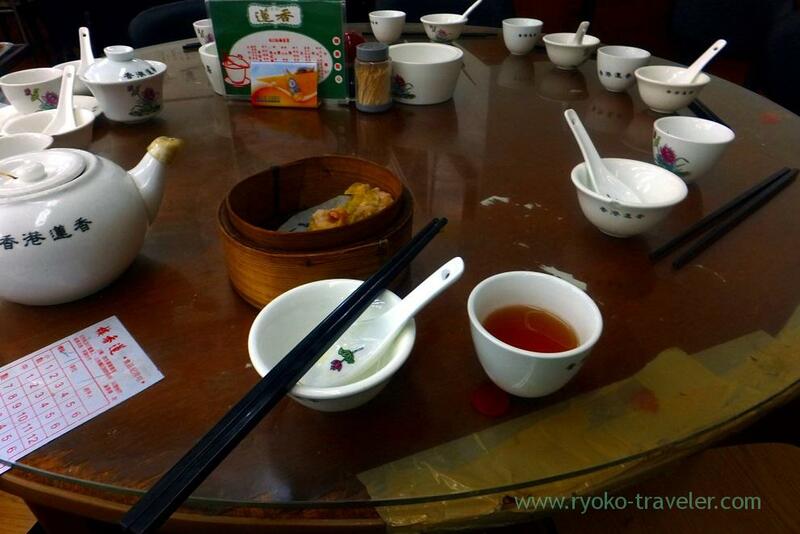 This was my first yum cha ! Yay ! Last, I took rice noodles roll. Truthfully speaking, I wanted to eat rice noodles roll having shrimps, but it didn’t come. 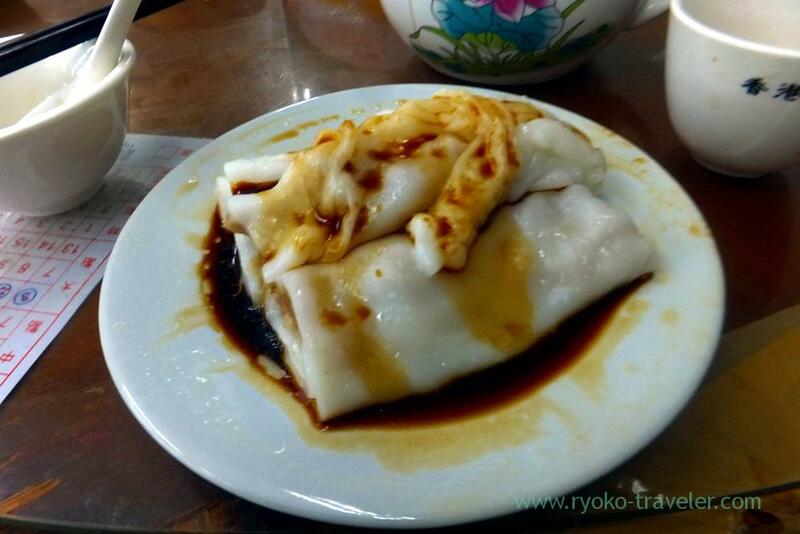 So, I gave up and took rice noodles roll having minced pork :p As you see, too much sauce ! But it wasn’t strong and the amount of the sauce is just for it. From $17 to $45. Tea cost us $12. My stomach was bursting and I got out of the restaurant. Their foods were so-so. 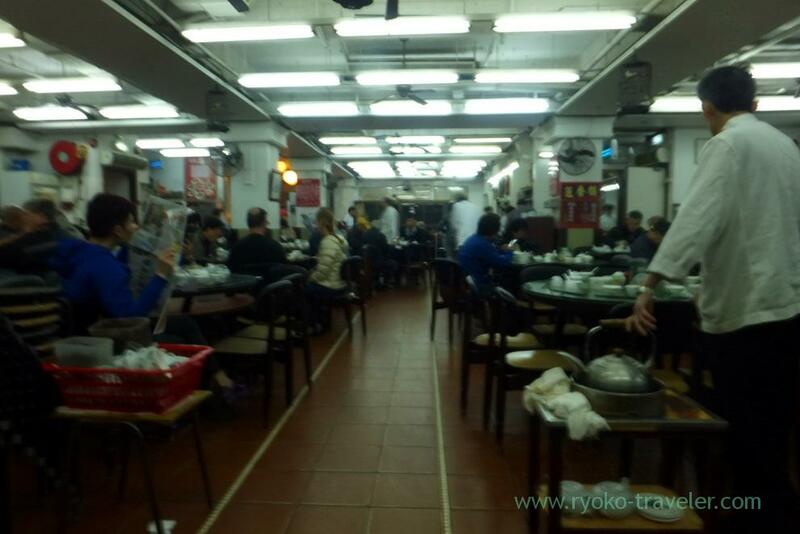 But I was really enjoyed traditional breakfast of Hong Kong in such a old Hong Kong atmosphere.